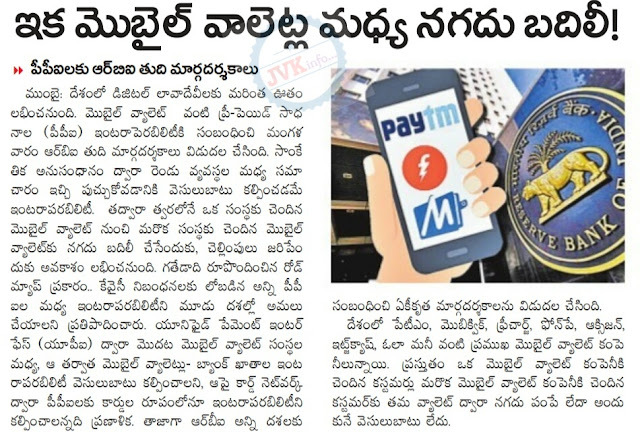 Now transfer money between mobile wallets using unified payments interface (UPI). Mumbai: Users of mobile wallets may soon be able to transfer funds from one wallet to another, with the Reserve Bank of India (RBI) releasing rules for the same. The rules on interoperability of prepaid payment instruments (PPIs) do not force PPIs such as wallets to permit such transfers; instead, these guidelines are for “participating PPI issuers, who choose to adopt interoperability”. Interoperability allows compatibility between payment systems and once implemented, a user will be able to transfer funds between wallets and also from their wallets to bank accounts. The Reserve Bank of India (RBI) said that in cases where PPIs are issued in the form of wallets, interoperability across PPIs shall be enabled through unified payments interface (UPI). Where PPIs are issued in the form of cards, the cards shall be affiliated to the authorized card networks. “PPI issuers operating exclusively in specific segments like meal, gift and mass transport system may also implement interoperability,” it said. RBI also said card networks are allowed to on-board PPI issuers to join their network and non-bank PPI issuers are permitted to participate as members/associate members of authorized card networks. PPI issuers, RBI said, shall act as payment system providers (PSP) in the UPI. The National Payments Corporation of India (NPCI) will issue handle to the PPI issuers after taking risk management aspects into consideration. “PPI holders shall be on-boarded for UPI by their own PPI issuer only. PPI issuers shall only link their customer wallets to the handle issued to them and PPI issuers as PSP shall not on-board customers of any bank or any other PPI issuer,” it said. Last October, RBI issued a directive to banks and PPIs on interoperability, which was to be enabled in a phased manner. It had also said that operational guidelines on this would be issued separately. 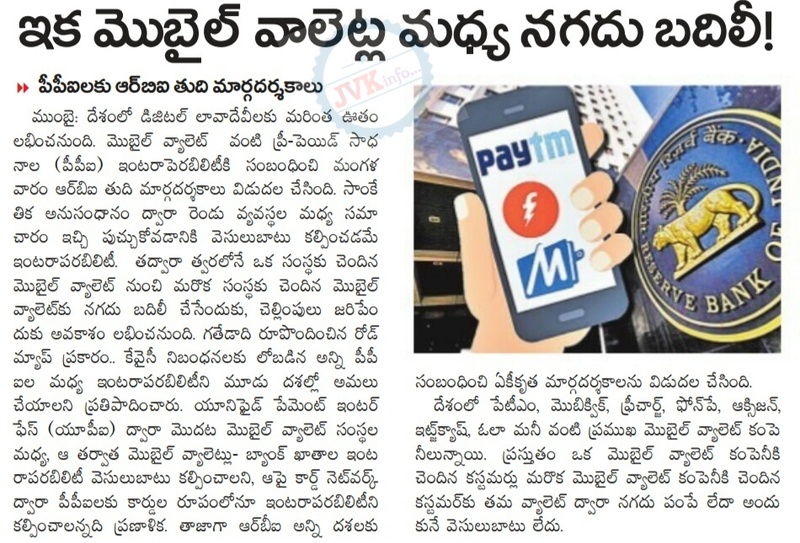 In the first phase, PPI issuers (both bank and non-bank entities) shall make all KYC-compliant PPIs issued in the form of wallets interoperable among themselves through the UPI within six months from the date of issue of this direction,” the RBI had said. UPI is a payments system launched by the National Payments Corporation of India in August 2016. It facilitates instant fund transfer between two bank accounts on the mobile platform, without having to provide any detail of the beneficiary’s bank account. KYC is a process through which financial institutions verify information about customers. “In subsequent phases, interoperability shall be enabled between wallets and bank accounts through UPI. Similarly, interoperability for PPIs issued in the form of cards shall also be enabled in due course,” said the directive issued by RBI in October 2017.